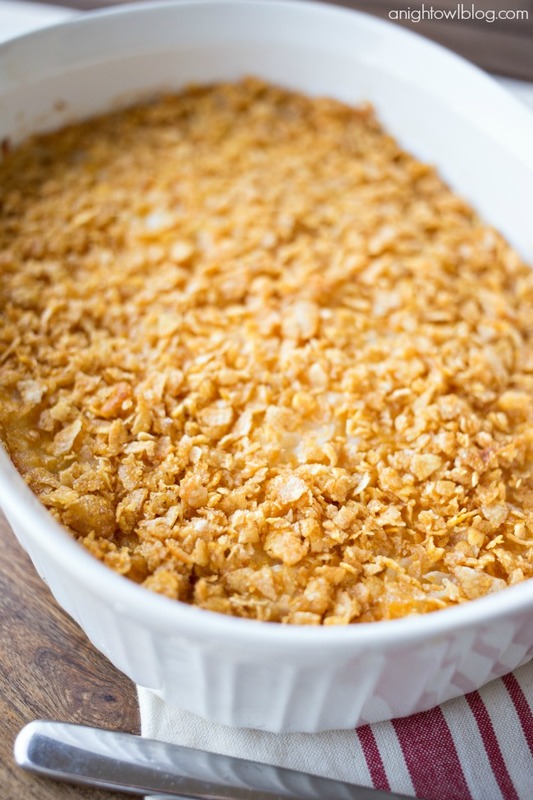 This Copycat Cracker Barrel Hashbrown Casserole has all the taste of your restaurant favorite that you can enjoy at home! Hi friends! 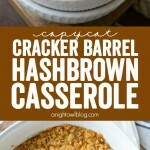 Today I’m excited to not only bring you an easy and delicious and Copycat Cracker Barrel Hashbrown Casserole recipe, but remember, each month on the 12th, 11 of my bloggy friends and I are bringing you a delicious and easy recipe, with a theme! 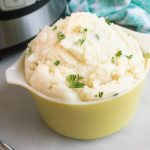 And being SO CLOSE to Thanksgiving this month, the theme is 12 Scrumptious Potato Side Dish Recipes! I love potatos. Who doesn’t?! I mean, baked, mashed, fried – any which way you cook them, I’m all in. And lately I’ve been obsessing over the hashbrown casserole we order from Cracker Barrel, one of our favorite restaurants to order breakfast from! So I figured it was about time that I try my hand at making something similar at home. And I think we’ve nailed it! 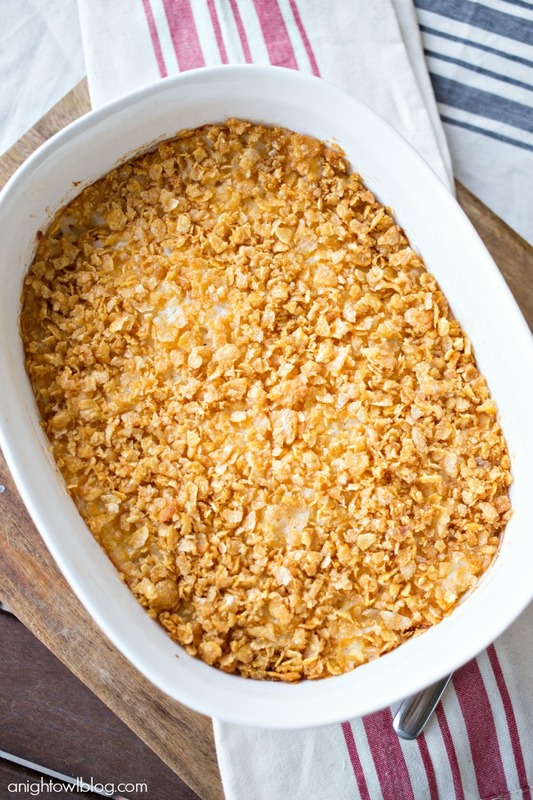 The perfect combination of salty and cheesy – this Copycat Cracker Barrel Hashbrown Casserole is the perfect side dish for ANY meal! 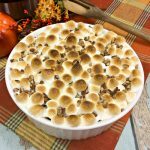 I totally think we’re adding this to our Thanksgiving menu. I have to be honest, we’ve been eating this delicious dish around the clock! Combine hashbrowns, melted butter, cream of chicken soup, sour cream, chopped onion, grated cheddar, salt and pepper in a 3 qt. casserole dish. 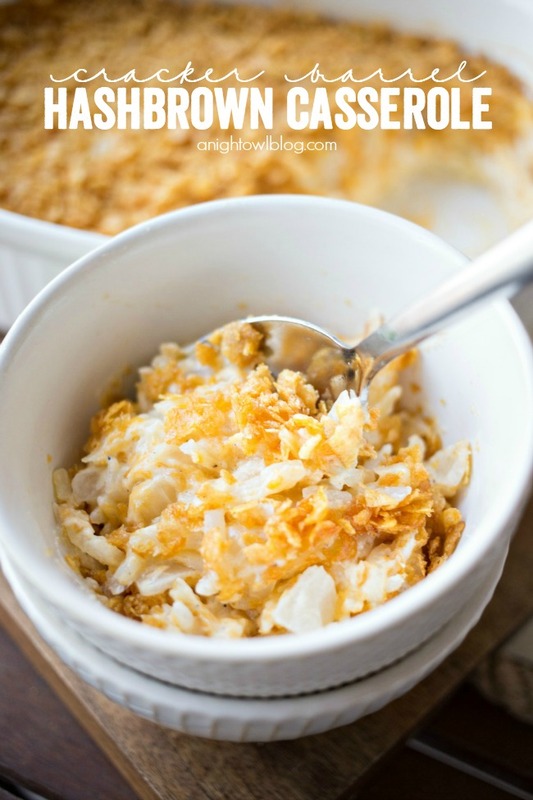 Add crushed cornflakes to melted butter and sprinkle on top. 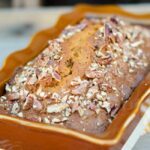 Cover and bake at 350 for 60 minutes. 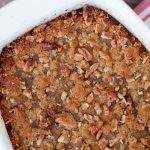 So if you’re a potato fan like I am and you love a good hashbrown casserol, you have to give thisCopycat Cracker Barrel Hashbrown Casserole a try! 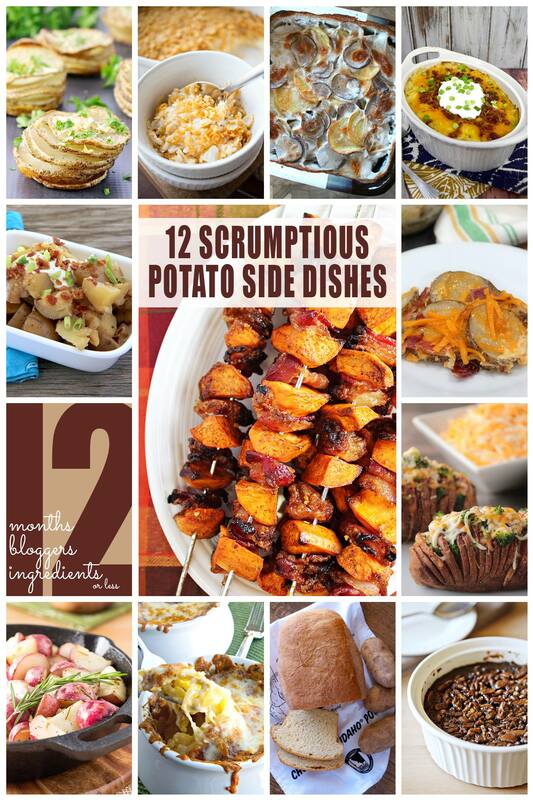 And remember there are 12 Scrumptious Potato Side Dish Recipes, so be sure to check out the other amazing recipes from these amazing ladies! My husband’s mom makes potatoes like this all the time and they’re his absolute favorite!